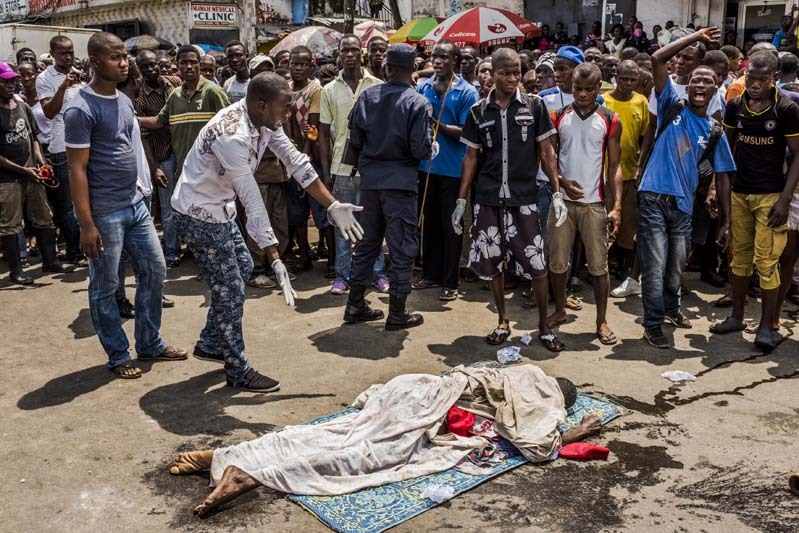 MONROVIA, LIBERIA - SEPTEMBER 15, 2014: Residents look on as a man lays dead in a busy street on September 15, 2014 in Monrovia, Liberia. According to locals, the man passed away three days ago. The family had been calling to have his body removed but no burial team came to dispose of the body. People afraid that it was an Ebola death, wearing rubber gloves, dragged his body onto the busy street, stopping traffic, and drawing attention to have the body removed.